Citizen participation is a way to understand the organization of political action considering citizens’ opinions. In other words, it implies a more consistent, efficient and responsive to citizens’ needs management. This determination is based on the search for innovative public policy tools, involving more direct participation of the population. Therefore, citizen participation is an instrument for deepening democracy because participation means contributing to good governance, bringing added value to politics due to the fact that population actively collaborates in public affairs. A participatory government promotes the right of citizens to actively participate in shaping public policy and encourages the administration to benefit from the knowledge and experience of citizens. Consequently it promotes and guides actions that increase the role and involvement of citizens in public affairs and make political forces more intensely committed with their fellow citizens. The section on government proposals is an attractive mechanism through which it is possible to present citizens the government initiatives. 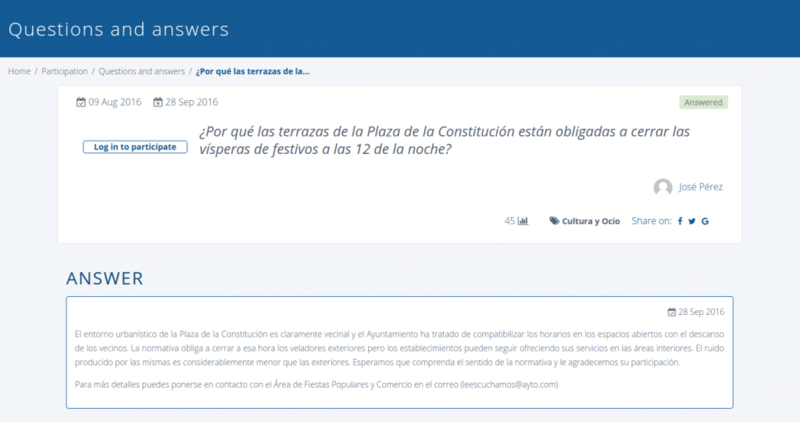 The citizen can know the content of a proposal, be informed of the aspects of this and see their status. In addition, they have the option to participate, present your opinion and discuss your points. The government can create a hashtag in social networks and in this section it would be shown that it is being said in parallel in social networks. Once there is a firm decision on the proposal, a section with the result ones is enabled for information to the citizens. All these aspects end up implicating the citizen himself and allows the government to open up to participation and take consensual decisions. 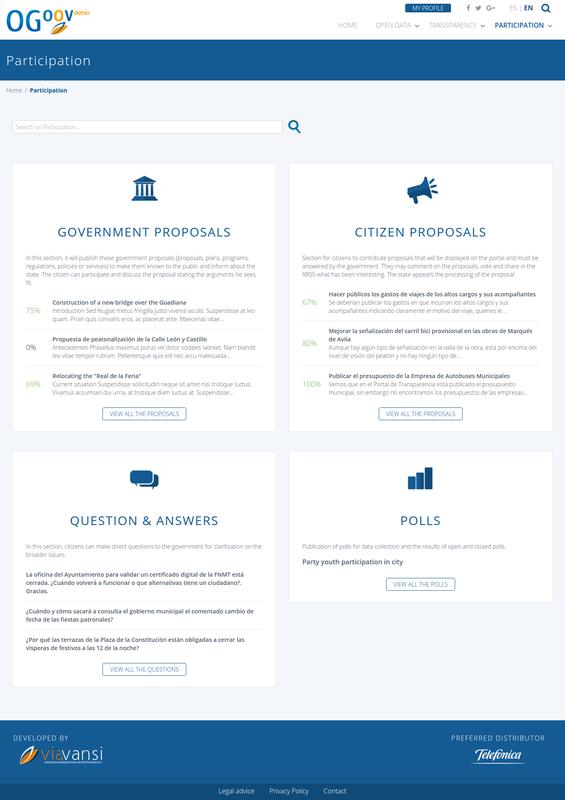 This tool makes it easy for citizens to submit an elaborate proposal to the Government and await their response. 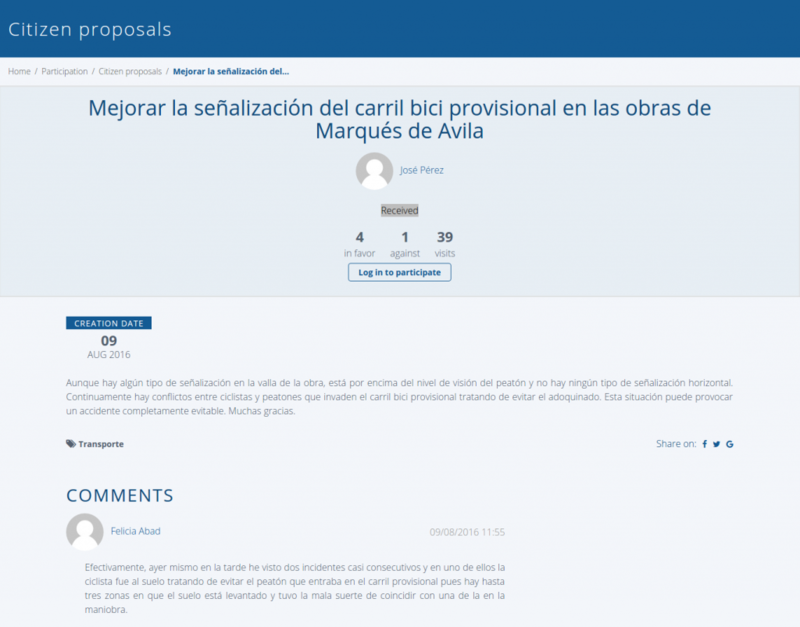 The participation of other citizens is allowed by giving comments and voting on the proposal presented by a fellow citizen. Like the section on government proposals, the openness and involvement of all parties enriches the citizens’ own initiative and the contribution of all parties involved. This comfortable channel facilitates the citizen to raise their doubts and questions directly to the Government. Both the support of other citizens and their comments, favor an environment of discussion and presentation of views on the question that the Government must respond. 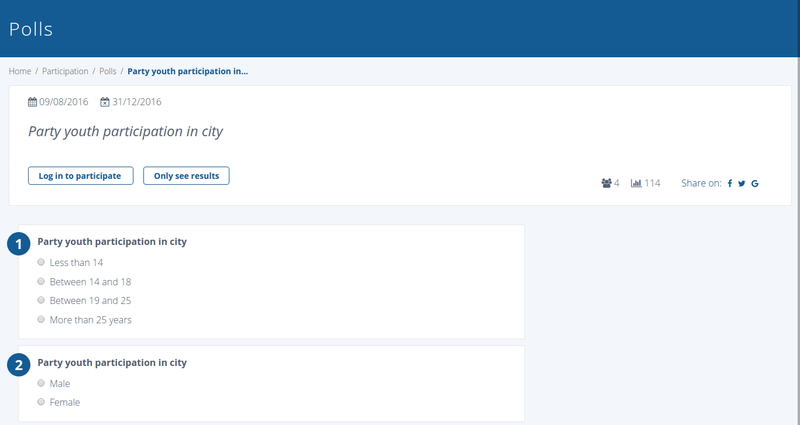 By means of this section, the Government can present citizen surveys to know their opinions and to collect data through the options selected by them. They are a known, effective and simple tool through which information can be collected and through its results, to know the citizen’s response to the topic consulted.